Two weeks ago, I used this column to vent my spleen about a topic that has had me seething for years: The appropriation of secular, winter-inspired songs for the “Christmas music” canon. This week, I’m revisiting the seasonal-song realm, but from a different angle. While so much of what we hear this time of year is lazy and bland (just how many swing-arrangement versions of “Sleigh Ride” do we actually need? ), there are, of course, numerous gems among the dross. And one of the gemmiest of all is the astonishing reinvention of “Little Drummer Boy” performed by David Bowie and Bing Crosby on the latter’s 1977 “Merrie Olde Christmas” TV special, which aired on the NBC network on Nov. 30 of that year (it was taped on Sept. 11, just 33 days before Crosby died of a heart attack at age 73 after a round of golf on a Spanish course). The performances alone make it special. Who could have imagined their voices would blend so exquisitely? Crosby’s trademark relaxed, melted-caramel vocals effortlessly weaved around Bowie’s plaintive, earnest sound on what is essentially a hymn. The word “glorious” only begins to describe the combination. *Although he was making great strides towards it, when the special was taped, Bowie was not yet a “mainstream” artist. He had just graduated from theater-level tours to headlining arenas, and a good chunk of the American public, if they were familiar with him at all, likely still viewed him as a freak show thanks to his gender-bending “Ziggy Stardust” persona which, even in late 1977, was still somewhat controversial. Conversely, Crosby was the very embodiment of traditional, pre-rock show biz. By 1977, he had been a monumental recording artist (his 1942 version of “White Christmas” remains the best-selling record—holiday or otherwise--of all time); a top-rated radio star; an Oscar-winning actor (for 1954’s “The Country Girl”); and a fixture on television for more than two decades. That these two somehow found their way to a collaboration is astounding. *This was produced during the time frame that Bowie was immersed in German expressionism and in translating it to a musical format. You can't get more aesthetically distant from Bowie's “Berlin Period”—as manifested on the gloomy, icy and often-paranoid “Low,” “Heroes” and “Lodger” albums--than the relentlessly upbeat and all-American material favored by “der Bingle.” Yet they clearly found common ground. *While it ultimately became de rigueur (e.g. Sinatra’s “Duets” albums, Tony Bennett & Lady Gaga), this kind of pan-generation musical mingling was hardly commonplace in ‘77. The hedonistic disco era may have been igniting into a cultural conflagration, but the generational battle lines of the 1960s were still drawn in deep relief. For many Baby Boomers, Bing Crosby represented everything they rebelled against in terms of politics, social mores and, yes, music, which more than any other art form, defined them and separated them from their parents’ generation. Given that, the Bowie/Crosby pairing was downright subversive. Kohan told the producers of a Bing Crosby “American Masters” documentary (highly recommended!) 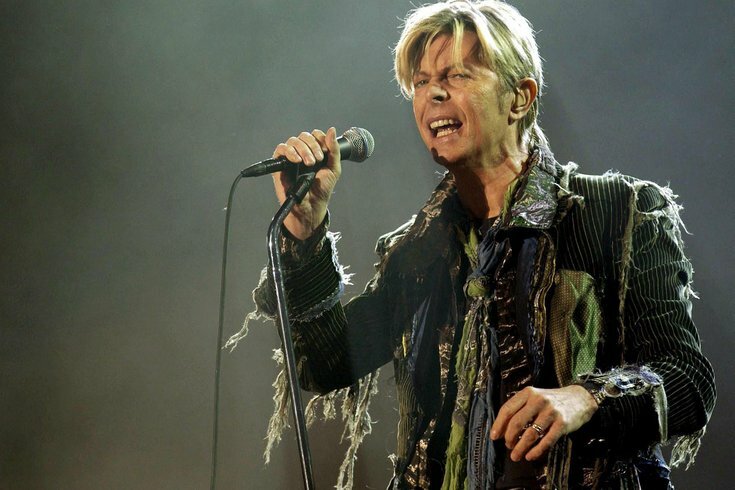 that Bowie insisted he “hated” the song, although his reasons for doing so remain a mystery. Rather than scrap the segment altogether, this version of “The Little Drummer Boy” was conjured much to our enduring benefit.